Former 007 actor Pierce Brosnan is fronting a drive to raise £2m to complete the funding needed for a new theatre in Brixton. Ovalhouse Theatre is set to relocate from Kennington as part of the multimillion pound Future Brixton initiative. On the junction of Coldharbour Lane, opposite Brixton Market, the theatre is part of a new development on Somerleyton Road that includes more than 280 new homes. Brosnan, whose career started at Ovalhouse in 1971, has agreed to be its patron and support to theatre’s major Capital Campaign to raise the remaining funding for the new venue. Ovalhouse has already raised £6.5m for the move, including a £3m grant from Arts Council England, but needs a further £2m before building work can start. The new building has been designed by Edmund Wilson of Foster Wilson Architects and will include two accessible theatres, seven multiuse accessible studios for rehearsal and community activities and a cafe. Ovalhouse says the development will bring jobs and opportunities for small and medium sized enterprises and supporting the already strong cultural sector in Brixton. Explaining the decision to relocate, the theatre says: “Brixton, a mile and a half down the road from Kennington, feels like the spiritual home for Ovalhouse. The hard-working board of the Ovalhouse Theatre are not the only people set on a move to Brixton. 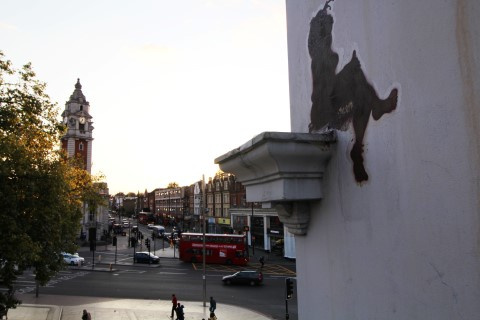 As the area’s leading independent estate agent, we know many young people are attracted to Brixton by its bustling high street, unique mix of market stalls and specialist stores and major music venues. One of the latest venues to appear on the scene is POP Brixton – a specialist food and drink outlet that has been built from recycled shipping containers stacked on top of each other and painted in unmissable colours and designs. However, green space is on offer at the Trinity Gardens conservation area, which can be found only by those truly in the know, tucked away behind the main centre of Brixton. Brixton’s diversity ends up exerting its influence on families. Many people who move to Brixton when they are in their 20s remain in the area, partly because it has a good number of primary and secondary schools that are judged outstanding by the government education watchdog Ofsted. If you need a larger home but want to remain in easy reach of Brixton’s many attractions – including the tube station – contact Eden Harper for an up-to-date valuation of your current property and for help finding a new place to rent or buy.